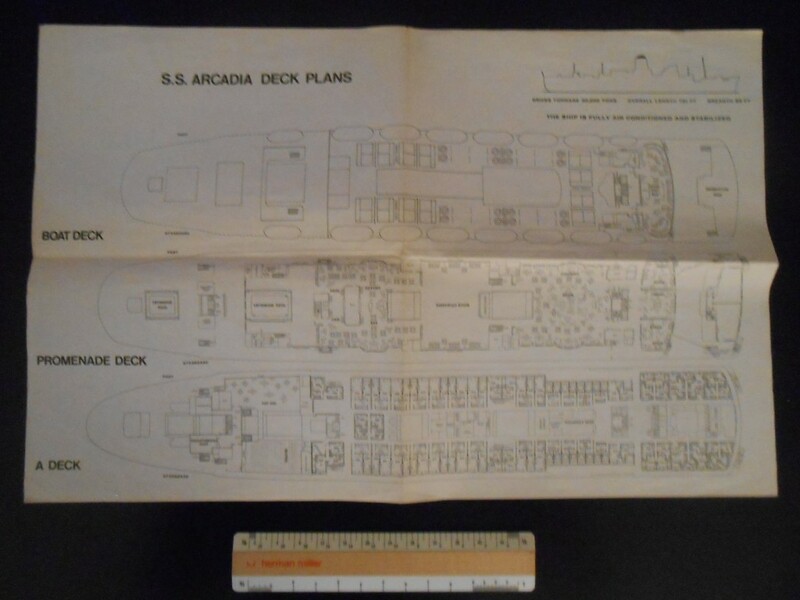 Nice little deckplan printed on heavy tissue for the lovely white Arcadia. Though she was built exclusivity to sail to the land down under ... she like most liners switched to cruising at least part of the time. This deckplan is in good shape.